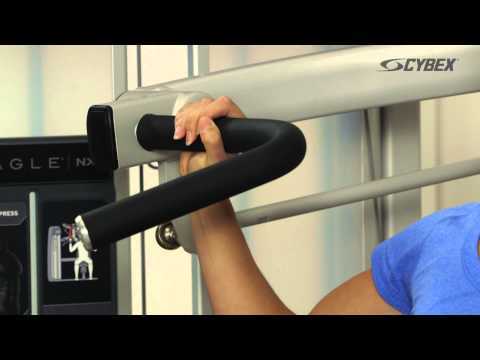 Engage and work a range of upper body and arm muscles on the range-topping Cybex Eagle NX overhead press. With Dual Axis Technology®, users can perform both machine-defined movements and harder user-defined movements, making this a great piece of equipment for exercisers of all abilities, furthered by the 93kg (205lbs) weight stack that caters to all needs. The independent arms help you balance your strength development and there are scapular plane grips to accommodate those with compromised shoulders. This very safe and stable weight machine includes holders for your accessories and has instruction placards on it to help users start out. for submitting product information about Cybex Eagle NX Overhead Press We aim to answer all questions within 2-3 days. 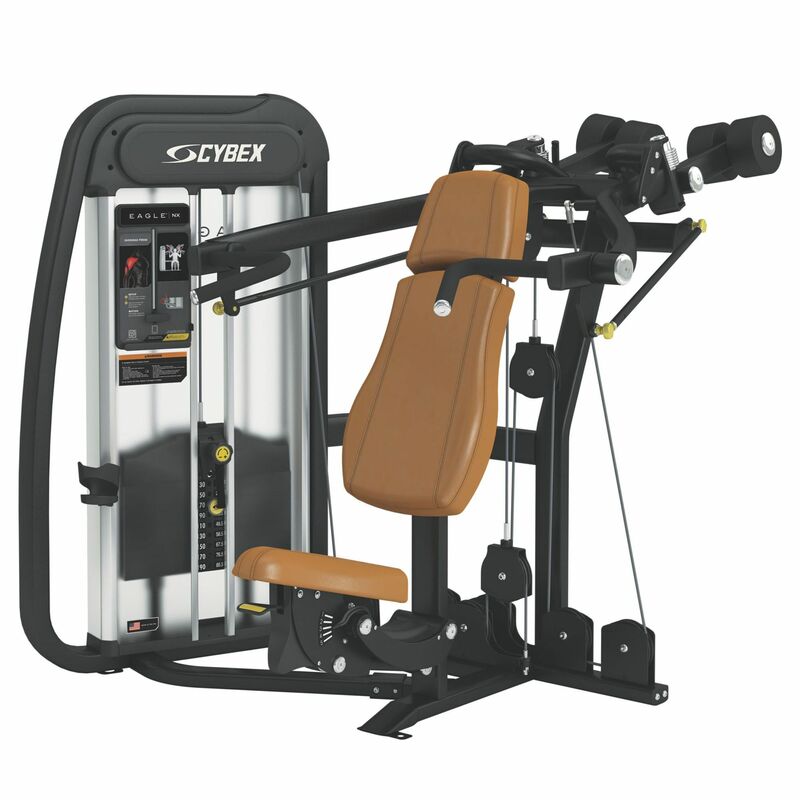 for submitting product information about Cybex Eagle NX Overhead Press. We aim to answer all questions within 2-3 days. If you provided your name and email address, we will email you as soon as the answer is published. for submitting product review about Cybex Eagle NX Overhead Press.